Human Rights Council Resolution 28/14 (9 April 2015) established a Forum on Human Rights, Democracy and Rule of Law. Further to that effort the UN announced its first Forum to be held in Geneva 21-22 November 2016 in Room XVII Palais des Nations. The Forum targets academics, non governmental organizations and experts. Resolution 28/4, and related materials may be found HERE. An earlier post included my Commentary for the Forum on Human Rights, Democracy and the Rule of Law - Widening the Democratic Space: The Role of Youth in Public Decision Making. It may be downloaded HERE or HERE. The Chinese language version may be accessed here: 对首届人权、民主与法治论坛“扩大民主空间：青年在公共决策中的作为”主题的一些看法 (My Commentary for the U.N. Forum on Human Rights, Democracy and the Rule of Law). 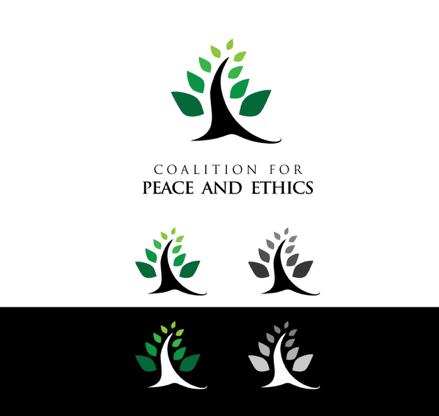 Both the Foundation for Law and International Affairs (FLIA) and the Coalition for Peace and Ethics (CPE) reached out to their networks to supplement this commentary. The submission of FLIA and CPA follows. The Foundation for Law and International Affairs (FLIA) and the Coalition for Peace and Ethics (CPE) welcomed the invitation, extended in a letter from the Secretariat of the Forum on Human Rights, Democracy and the Rule of Law, dated 23rd June 2016, to reach out to their networks to identify possible topics for discussion at the Forum's inaugural session on “Widening the Democratic Space: the Role of Youth in Public Decision Making”, to be held in Geneva, at the Palais des Nations, on 21st and 22nd November 2016. FLIA and the CPE believe a strong youth participation at all stages of the preparation of the Forum to be essential to taking into due consideration the interests and the views of all stakeholders, also with regards to the identification of topics that could potentially be discussed during the Forum's inaugural session. A detailed description of each one of these topics is provided at pages 4 to 11 of our submission. Under express request of their authors, we attach three of the commentaries we have received, in the original language in which they were sent to us. We wish to once more extend our most sincere thanks to the Secretariat for having offered us a meaningful opportunity for consultation. We express our most sincere apologies in the inability of any member of either FLIA or the CPE to be able to attend in person the inaugural session of the Forum, and we remain at the Secretariat’s entire disposal. 1 A list of all the persons and organisations we reached out to, as well an illustration of the methodology used to elaborate our estimate and the raw data used in elaborating such an estimate will be made available to the Secretariat of the Forum on Democracy, Human Rights, and the Rule of Law and any other interested parties upon their request. On February 3, 2016, a 28-years-old doctoral candidate at Girton College, Cambridge University, was found in a ditch in a suburb of Cairo, Egypt. His body was partially naked, and showed the signs of mutilation. Before his death, Giulio Regeni had been stabbed repeatedly on various parts of his body, and was made to suffer multiple cigarette burns, razor cuts, and bone fractures. Mr. Regeni's only crime was his will to share his knowledge, and the fruits of the education he had received, with the Egyptian youth. Beyond the contingent events that led to his abduction, torture and eventual murder, the death of Mr. Giulio Regeni bears testimony to the power of education, and the need to reinstate the principles of indivisibility, interdependency and interrelatedness of universal human rights. To say that rights are indivisible means that all rights constitute a unitarian, organic, and inseparable whole. At the same time, human rights are not a monistic entity as such. Their division and classification into categories is necessary because the violation of the rights of an individual always produces an inability to enjoy a very specific entitlement. What needs to be restored is then the enjoyment of the specific entitlement that has been made unavailable, rather than the enjoyment of those entitlements a person already has. The will and the moral duty to grant a person access to what she has not, and to allow a person to enjoy what she is entitled to, justify the placing of a momentary and greater emphasis on the single human right that has been violated. It would be mistaken to believe that placing an emphasis on an individual human right could lead to privileging one category of rights over another, or worse to neglecting entire categories of rights. The existence of rights within a unitarian, organic and inseparable whole is made possible by the mutual relation that exists among individual human rights. While this relation has been often conceived as a supporting relationship, the ways in which such a supporting relationship comes into play may be highly contingent. While it is true that the enjoyment of any individual right requires the enjoyment of at least one more right of the same or a different kind, the causal relations that link one individual right to another are by no means fixed or predictible. In the case of Mr. Regeni, for instance, enjoying the right to life would have allowed a full enjoyment of the right to participate in decision-making. Rights are interrelated in the sense that has been just expressed: they stem from a common trunk and are nurtured by the same lymph, while each individual right satisfies a moral imperative which is highly specific and contextualized. The right to education is a fundamental human right, which can provide a bulwark to the most blatant violations of the right to life, liberty, and security of the person. Education is the most powerful “weapon” the youth can use to change the world. This simple, universal truth has been expressed by all peoples in the ways, languages and by the means peculiar to them. The ability to preempt violations to one's right to life, integrity and personal security rests upon those general, intellectual and cognitive abilities that are created and enhanced by education. He who knows which legislative, cultural and social mechanisms can be best leveraged to affirm one's rights will enjoy freedom and empowerment to a greater degree than he who ignores those mechanisms. He who knows, can appreciate and therefore respect, the existence of cultural differences among the peoples will live a fuller and more rewarding life than he who overlooks diversity. In this sense, education plays a very important role in the responsibility for protecting all persons from the incitement to the deliberate killing of the members of their national, ethnic, racial or religious group, as well as from the concrete carrying out of such conducts. The primary responsibility for protecting men and women from the systematic elimination of the group they belong to falls primarily with the state. Yet, the role played by the international community cannot and should not be neglected. The international community has the ethical duty to stimulate the development of the activities conducted by the states. Besides this responsibility, the international community is also bound to take any kind of collective action that may be necessary, there were a state is manifestly unable to guarantee the life, liberty and security of its citizens. The avenues available to undertake such a collective action are many, and pertain to different actors. While diplomatic and humanitarian means pertain to governments, there are other means subjects of international law can use to fulfill their duty. Education is one of the other means that young persons, academics, citizens and NGOs can use in their effort to encourage and assist all states in fulfilling their responsibility to protect. The protection of one's right to life, liberty and security – understood both in its moral and effective dimension – necessarily goes through the promotion of a greater degree of understanding and appreciation of what democracy is. The etymology of the word democracy is well known. The modern word “democracy” derives from the union of the Greek substantives demos (the common people, commoners) and kratos (rule, power, strength). At different stages of the history of the ancient Greek civilization, however, the words demos and kratos acquired a different connotation – with demos referring not to individual persons, but to a collective body. After all, as the Albert Schweitzer Professor Emeritus in the Humanities at Columbia University Giovanni Sartori has observed, democracy possesses multiple dimensions and definitions. The inherently multiple and universal dimension of democracy is not limited to abstract classifications and categorizations – it is visible in each one of the instantiations of democracy that exist in our world. Each one of the regional variants of democracy that exist, today, is unique. These unique – and at times bewilderingly different – versions of democracy derive not from differences in the understanding of what “rule by the people” is, or from any inherent inability to use the democratic mechanisms as they may be available to citizens in the countries where they reside. Between the two distinct positions of universalism and relativism, there exist a variety of decision-making mechanisms which are formally distinct, yet functionally equivalent. Nine-hundred years ago, Persian writer Farid ad-Din Attar recounted how Imam ben Hanbal would refuse to eat food that originated from the city of Baghdad. The Caliph had ordered that all of Baghdad's trade revenue be used to purchase weapons for his army, and ben Hanbal did not want to be complicit in the slaughtering of human beings. Already in the 12th Century, the peoples of today's Iraq shared the same ethical concerns that, in 2011, led to the endorsement of the United Nations Principles on Business and Human Rights. Throughout the centuries, these very same concerns have been expressed, shared and discussed in the forms and through the channels that the people of Persia have created for themselves. It is not by chance that Amjad Sabri – a renowned Pakistani singer who expressed these and other moral concerns through the medium of traditional music – had gained the respect of millions of people across the Indian subcontinent and beyond. The freedom and empowerment of young persons rest for a significant part upon their ability to become aware of and to understand difference. Once the ideal of democracy comes to life, it is displayed in different instantiations and different versions, shaped by the variables that – at any given point in time – will be active in any given geographic and cultural context. Each one of these versions of democracy will offer different means and avenues to participate to decision-making. The ability to identify each one of the possibilities that exist for participating to decision-making can however be acquired only through the comparative analysis of political systems. The variety of existing political systems, and the nature of the decision-making mechanisms they offer is further shaped by factors endogenous to politcs. 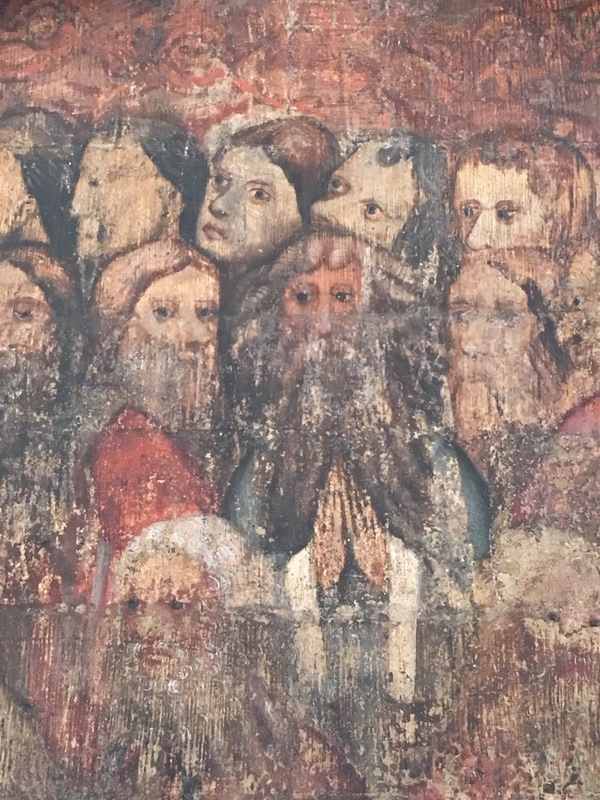 Among these, religion is perhaps the most important factor that determines differences in political structures, in the existence of mechanisms for participation, and in the concrete shape these mechanisms will take. In all secular societies, the single most important variable that shapes our political structures, allowing in turn an unfettered access to decision-making, is a common faith in the inherent equality and dignity of all human beings. Such a conviction is conveyed through networks of legal, social, and ethical norms, with religious beliefs remaining for the most part a component of the private sphere of individuals. The rule of law is thus understood as the rule of secular, man-made law. Theocratic societies invert this hierarchy, placing revealed truths as the foundation of their legal orders, and the source of most, if not all, substantive and procedural legal norms. The sound understanding of differences education can promote, thus contributing to a better protection of the fundamental rights to life, liberty and security of the person, should not be limited to an analysis of differences in political and social systems. Education is a life-long endeavor that changes the totality of the person therefore, it should also promote an appreciation of religious diversity, insofar as such an appreciation plays an important role in eradicating all of those factors that lead to feelings of superiority, hatred and discrimination. We are aware of the challenges to our vision - challenges which have been amply elaborated upon in a previous commentary dated 23rd June 2016, and which is available here. Therefore, we welcome further communication and dialogue with the Secretariat and any other interested stakeholder. At the foundation of the rule of law there cannot be but knowledge, understood as knowledge of the choices made by governments in the name and on behalf of citizens, regardless of whether these choices are made in national or transnational fora. Governments must be responsible for their actions, and guarantee adequate information, which is accessible and accurate in accordance with the principles of openness and transparency. Even though some countries provide citizens the tools to access information, for instance through legislation on freedom of information, such legislation sometimes does not meet citizens' expectations. The right to know the acts government members are performing in our name could enhance the relationship between political candidates and the electorate. In the last twenty years, human rights, decision-making processes and eventually peace have become victims of states of emergencies, which, at times, have been proclaimed arbitrarily. The rule of law thus risks being replaced by a “rule of emergency”, a risk that becomes more concrete when the mechanisms of knowledge and access to information are manipulated, and used in ways inconsistent with human rights law and international humanitarian law. To breath in new life in the responsibility to protect - a responsibility that befalls each and every subject of international law, we should focus our energies also on the codification of the right to know. To gain a more complete appreciation of the importance of this right, we should consider how, even though the greatest majority of states have witnessed a transition to a specific version of democracy, their systems still incorporate elements that date back to an earlier stage of political and historical development. Before the affirmation of popular rule, as well as before the creation of Marxist-Leninist regimes or the popular revolutions that brought theocratic governments to power, monarchy was perhaps the most common form of government. Monarchies’ effort to contain popular sovereignty in all of its possible forms was premised on the mechanisms of “kingly prerogative”. Kingly prerogative was a body of norms and principles that gave supreme authority to the King. Among these norms and principles, a crucial role in attempting to constrain the democratic space was played by the concept of state secret. While the concept of state secret is and should remain a necessary component of national governance, notions of state secret may be prone to abuses. In order to keep those abuses in check, in the 1990s, the Special Rapporteur Louis Joinet identified the right to know as a right that plays a fundamental role in protecting the life, liberty and security of persons, considered in their dimension as individuals as well as of active members of their community. According to Louis Joinet, the right to know is not only a right that belongs to victims of human rights violations and their relatives. It is also a collective right, that allows us to draw the lessons of history, to make genocide, abductions, mass killings and large-scale economic, political and social instability never happen again. China, a country hailing from a past history of war, invasion, economic, political and social instability presents an important case study on each one of the topics FLIA and the CPA suggest to discuss during the Forum's inaugural session.3 The country's historical and cultural trajectory has endowed China's political system with mechanisms for political participation which are unique and highly specific. We believe that knowledge of these mechanisms is important, in that it can contribute to an informed and inclusive dialogue among interested stakeholders. The primary mechanism for youth participation in the Chinese political system is the Youth League. The Communist Party of China (CPC) leads the Youth League, which takes on the role of promoting the Party Line among students and the youth. Party membership is not required for participation in the Youth League, and students between the ages of 14-28 may participate. Older Youth League members, particularly those who take on leadership positions, may apply for Party membership. Newly admitted CPC members receive formal training in the theory and operation of the Party. It must be noted that the CPC is self-mandated to be the “vanguard both of the Chinese working class and of the Chinese people and the Chinese nation.”4 That is, the CPC derives its legitimacy from its essential function: to represent the “fundamental interests of the overwhelming majority of the Chinese people.”5 More simply, the legitimacy of China’s one-party political system depends as much on the will of the people as does a traditional Western representative democracy. From the perspective of this system, then, the notion of “widening the democratic space” contains overtones of Western hegemony. Accordingly, in order to truly widen the democratic space, the discussion should affirmatively welcome the perspectives of conscientious youth who are politically active in systems whose theoretical underpinnings vary from those of the West. Such underpinnings are not inherently conflictual with the wider conception of democracy; that is, a system capable of representing the people. Indeed, the efforts of these youth will be critical in advancing the Rule of Law in the coming decades. Information disclosure is one way to implement the transparency of information, but information disclosure and transparent information cannot be exactly the same. At present, the Internet is an important tool for the implementation of public policy. However, the "no national boundaries" of the Internet cannot guarantee that every person in need of information can obtain it. For example, reports on the financial crisis may be headlines in newspapers or on websites, but the relevant rules governing the financial industry are not necessarily in the news as the main body or appendix. This increases the difficulty of understanding public decision-making. Another indication that information disclosure is not equivalent to transparent information is lack of communication. On the one hand, China has 56 ethnic groups, 53 of which have their own languages, but some information is only available in Mandarin. On the other hand, the lack of communication is reflected by the relationship between the legislature and the public. Most organs do not reply to questions or doubts from the public, or only disclose very limited information. The youth, due to the their limited knowledge or relative psychological immaturity, have relatively few opportunities and channels to access to the information they should know in order to engage in society. 2 This paragraph is based on a commentary by Mr. Domenico LETIZIA, who explicitly requested that his name and affiliation be disclosed to the public. Mr. LETIZIA is a member of the Directive Council of Nessuno Tocchi Caino, the Italian League of Human Rights, and the Italian Helsinki Committee for Human Rights. Mr. LETIZIA’s commentary is attached in the original language in which it was submitted. 3 This paragraph is based on the feedback FLIA received from its Chinese network. 4 Preamble, Constitution of the Communist Party of China. 6 This paragraph is offered by Chinese scholar LI Xiaofu on the practical issues confronting Chinese youth who wish to participate in public decision making. Professor LI (Southwest University of Political Science and Law) has published more than eighty articles on themes related to comparative law. His most recent book is Research on Legal Problems in the Sino-American Currency Competition (2015). 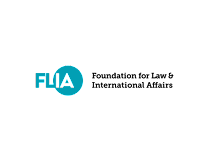 The Foundation for Law and International Affairs (FLIA) is an independent, nonpartisan, nonprofit organization mandated to promote academic and public discourse at the intersection of law and international affairs. The core vision of FLIA is to promote international cooperation and public dialogue through the development of new ideas and collaboration with various academic, governmental and civil actors. 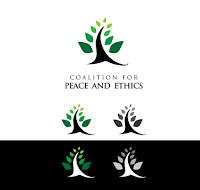 The Coalition for Peace & Ethics (CPE), founded in 2006, is an independent, non-profit, non-partisan, tax- exempt research and information focused organization. CPE avoids ideology, adopts no specific political or religious doctrine, and owes allegiance to no master. We are engaged in a series of projects based on the production and dissemination of knowledge that is meant to empower people to take control of their own lives for personal and societal betterment in ways that are respectful to individuals and the communities in which they belong. L’affermazione dei valori democratici e liberali, l’obiettivo di fornire una piattaforma per promuovere il dialogo e la cooperazione su argomenti inerenti alla relazione tra diritti umani, democrazia e stato di diritto passa per un decisivo processo antropologico-sociale, quello della formulazione e codificazione di un nuovo diritto umano e civile: “il diritto umano alla conoscenza”. Alle fondamenta dello stato di Diritto non può esservi che la conoscenza, conoscenza delle scelte che i governi, nelle sue realtà nazionali e transnazionali, prendono in nome e per conto dei cittadini. I governi devono essere responsabili delle loro azioni e devono garantire un’adeguata informazione, che sia disponibile, accessibile e accurata secondo i principi dell’apertura e della trasparenza. Benché alcuni Paesi forniscano ai cittadini gli strumenti per accedere alle informazioni, ad esempio attraverso i Freedom of Information Acts, questa normativa spesso non risponde alle attese dei cittadini, rivelandosi inadeguata. Il diritto a conoscere ciò che i membri del Governo fanno segretamente a nostro nome potrebbe migliorare il rapporto tra candidati eletti ed elettori. Negli ultimi due decenni, in molti Paesi e città abbiamo assistito all’impiego di mezzi e strategie militariste e a un prolungato, pretestuoso e arbitrario Stato di emergenza proclamato per la pretesa necessità di difendersi e difenderci in tal modo da minacce derivanti da terrorismo, immigrazione, droga e altri “nemici”. Si è insediato così uno “Stato di Emergenza” permanente, le cui radici spesso affondano in presupposti ingannevoli, se non vere e proprie menzogne. Vittime della multiforme Ragion di Stato sono i diritti umani, la responsabilità, la mancanza di supervisione nel processo decisionale e, in ultima analisi, la pace. Lo stato di Diritto sta per essere sostituito dallo stato emergenziale e securitario e ciò è possibile quando i meccanismi della conoscenza e dell’accesso all’informazione sono manovrati e manipolati dalla burocrazia della Ragion di Stato in contrasto alle Convenzioni riconosciute e al diritto internazionale umanitario. Il modello del Freedom of Information Act, adottato cinquant’anni fa dalla Presidenza Johnson, costituisce un punto di riferimento molto importante. Negli anni Novanta le Nazioni Unite si fecero paladine dell’espansione delle Organizzazioni Non Governative, viste come una sorta di nuova forma di partecipazione democratica a livello planetario. Le Ong potevano essere una nuova forma di legittimazione dell’Onu, una valida alternativa alla frustrante subordinazione al volere dei membri permanenti del Consiglio di Sicurezza. Le Nazioni Unite diedero grande visibilità alle Organizzazioni Non Governative inaugurando la stagione delle grandi conferenze internazionali degli anni Novanta. Ma, i dolorosi fallimenti delle Nazioni Unite spinsero il segretario Kofi Annan, in carica fino al Dicembre 2006, ad avviare una grande riforma amministrativa dell’Onu. Annan provò, tra le altre cose, a seguire la strada di un ampliamento del diritto internazionale, con l’introduzione del concetto di “responsabilità a proteggere”. L’espressione fu coniata nel 2001 da una commissione di studio del governo canadese, e dal 2004 è entrata nel lessico delle Nazioni Unite divenendo nel 2006 una delle fonti di risoluzione del Consiglio di Sicurezza. L’idea è quella di richiamare gli Stati alla responsabilità primaria nel garantire e proteggere la propria popolazione da gravi violazioni dei diritti umani, anche in presenza di un governo legittimamente in carica. Per rendere possibile tale processo, dobbiamo impegnarci in un nuovo lavoro di codificazione in ambito Onu, la codificazione del nuovo diritto umano alla conoscenza. Per comprendere al meglio tale processo dobbiamo sviscerare la storia delle istituzioni politiche contemporanee. Dal 1848 al 1914 si assiste al passaggio statuale dal “liberalismo alla democrazia”: l’affermazione diffusa del principio secondo il quale la sovranità risiedeva nella cittadinanza. Le varie monarchie, con intensità maggiore nell’impero tedesco, nell’Austria-Ungheria e in Spagna, cercano di contenere il “potere della democrazia”, che va affermandosi, attraverso l’istituto della prerogativa regia. In ambito accademico, l’istituto della prerogativa regia è quel complesso di norme e principi in base ai quali il supremo potere di comando spetta, all’interno di una monarchia, in ultima analisi al re. Ma, anche l’istituzione democratica conserva la sua prerogativa regia: “il segreto di stato” che non permette la piena realizzazione della democrazia, dello stato di diritto e dei diritti umani. I regimi costituzionali, spesso, risultano essere “incompleti” nell’ambito delle materie militari e di politica estera. Permane vivo il principio di un “segreto di stato” da mantenersi opportunamente celato alla cittadinanza e alle sue proiezioni parlamentari. Il “segreto di stato” alimenta quelle “prerogative sovrane” o “ragion di stato” che continuano a configurarsi come il presupposto concettuale di un potere velato, circoscritto in tempo di pace, ma destinato ad accrescere il proprio ambito d’azione e di irradiazione in un contesto eccezionale, come quello della guerra, del terrorismo globale o di particolari crisi economiche e politiche. Il diritto umano alla conoscenza può, universalmente, rappresentare il freno decisivo a tale irradiazione, circoscrivendo il perimetro d’azione del potere come “prerogativa regia”. Alla metà degli anni Novanta, la Commissione dei Diritti Umani delle Nazioni Unite incaricò il giurista francese Louis Joinet di identificare un corpus di principi a cui gli stati si dovrebbero attenere per evitare che le violazioni dei diritti umani restino impunite. Joinet formulò una definizione di “right to know”: “Il diritto alla conoscenza non è solo un diritto di ogni singola vittima o dei suoi congiunti di sapere cosa sia successo, un diritto alla verità. Il diritto alla conoscenza è anche un diritto collettivo che permette di trarre frutto dalla storia per impedire che violazioni dei diritti umani si verificano nuovamente in futuro”. Nel 2005, la Commissione Onu per i diritti umani ha elaborato un aggiornamento di questi principi sostenendo: “Ogni popolo ha il diritto inalienabile di conoscere la verità su eventi passati concernerti l’esecuzione di crimini odiosi e sulle circostanze, e le ragioni che hanno portato, attraverso massicce e sistematiche violazioni a consumare tali crimini”. La formulazione dettagliata del “diritto umano alla conoscenza” rappresenta la proposta universalistica allo strapotere della ragion di stato a partire dalla parte “opaca” delle istituzioni democratiche. Non si tratta di abolire il segreto di stato, attualmente impensabile da riscontrarsi e affermarsi, ma di riformulare in ambito internazionale tale prerogativa, permettendo ai cittadini di vivere in una democrazia rispettosa del Diritto, che consenta loro l’accesso alle informazioni sulle manovre dei governi che possono cambiare il corso della storia. La guerra in Iraq e la condanna a morte di Saddam ne rappresentano l’esempio.